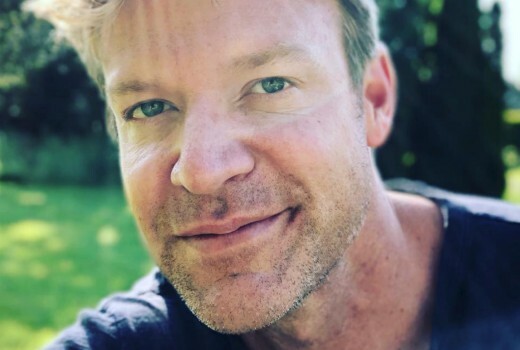 Aussie Matt Passmore has a new US lead role in an upcoming pilot for the ABC network, Triangle. The series poses the question: What if the Bermuda Triangle was not a watery grave in the middle of the ocean but a land lost in time that has trapped travelers over the course of human history? When a family is shipwrecked in this strange land, they must band together with a group of like-minded inhabitants — from throughout history — to survive and somehow find a way home. Passmore (The Glades, Satisfaction, McLeod’s Daughters) will play Liam, a dark, rash and complicated member of the land’s ruling family. To be filmed in New Zealand the series is written by Jon Feldman and and Sonny Postiglione, and directed by McG. It also features Mike Vogel, Edwin Hodge and Mallory Jansen. I don’t mind these type of sci-fi shows if they are well written with good some CGI, but as it’s being made by ABC there will be a predictably open ended storyline workshopped by an army of creative consultants and contract writers overseen by the showrunner and numerous executive producers, which means the studio executives will want at least 4 seasons to make it financially viable. I suspect that like the other ABC Network offering ‘The Crossing’ it may not be wise not to get too invested in the show if you want a satisfying ending. Sounds like those high concept event dramas that start with a bang and dissipate quickly. Lost had a lot more going for it than that though. Like the 1977 series The Fantastic Journey? I’m looking forward to it…hope it comes up in Australia.